There are always reasons out there to why you should hire a professional contractor for the work that has to be done at your home, especially when you’re trying to improve the appearance or add on a little space. Not only are you going to want a professional to do the job, but you’re going to want to know why. 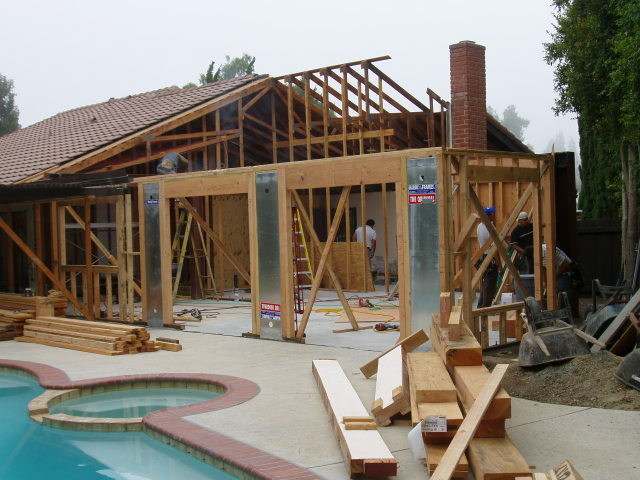 Here are some of the top reasons why hiring a professional home addition contractor is the best way to go when you’d like to have an addition added onto the home that you have. 1 – They know what they’re doing. This should go without saying, but it is something that you want to keep in mind. You want someone that knows what they’re doing as this can reduce any mistakes or questions that come up along the way. 2 – They’re licensed and insured. When you hire a professional, you want to make sure that you have coverage no matter what happens. With the right professional, you can ensure that this is the case. With their help, you can feel confident knowing that if something happens, they have the coverage to fix it. 3 – They work with the best suppliers. When you’re looking for high-end or specialty products and materials, they know who to get them from and can get an awesome price on them. This puts you in the best position when working with them. 4 – They provide you with a contract. Know how much it is going to cost, when it is going to be done, what all is needed and still be covered when the time comes to have them do the work. This contract is good for everyone involved and guarantees the work being done. 5 – They can make recommendations. If you wanted to have something done, but it is not possible, they can recommend other ways to do it. They understand how a building works and can help you get everything that is needed, without having to worry about doing something wrong with the home. When searching for home additions contractors in your area, fill out our form below and we can help you get in contact with the contractors working in your area. When you need dependable service, Contractors Today has the information you need most.